I believe this photo was taken circa 1968 from the window of Congressman Tom Steed’s office. 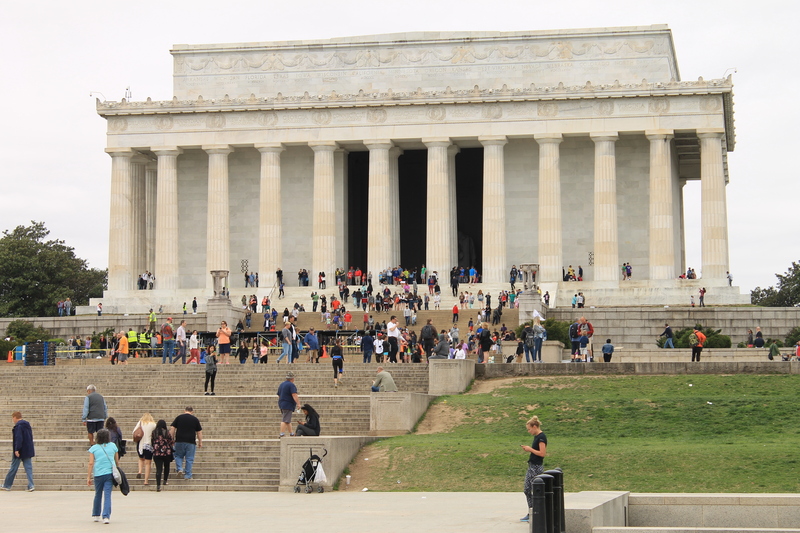 It has been more than 12 years since my last visit to our nation’s capital. It is a city I never tire of. My first visit was when I was 15, in 1968, on a bus tour of the East Coast with a Farmers Union group from Oklahoma. There were only 2 other guys my age on the 2 week trip. It was a blast, what can I say? The next 2 times would have been around 1969 and 1970 on trips to the National 4-H Club Conference Center in Chevy Chase, Maryland. One of those trips focused on citizenship so we made the rounds on Capitol Hill visiting our Oklahoma congressman and senators. That was a pretty remarkable trip. I still have photographs of our meeting with my local congressman, Tom Steed and his Capitol Hill office which overlooked the dome of the Capitol building. We also got a VIP tour of the White House. If you have ever been to the White House on a tour, you’ll remember the rubber mats that are placed on the floor and the velvet ropes which keep you from entering the rooms as you walk through them. I guess because we were good upstanding 4-H Club youth, they decided to treat us a little special. For this tour, there were no rubber mats and the velvet ropes were gone. We were actually allowed to wander into the various room, the green room, the blue room, the red room, etc. where we could actually sit on the furniture! I remember walking up to a mantle and one of the rooms where there was a very ornate phase displayed and I distinctly remember thinking to myself “I could just like totally touch that vase!” But I didn’t. At the conclusion of the tour we all gathered in the East room of the White House where then-president Richard Nixon addressed the group. Following his remarks, we were all received by him and First Lady, Pat Nixon, and we got to shake their hands and have our pictures taken. It was all pretty remarkable for an 18-year-old kid, even though we were all staunch Democrats. Although I had been to Arlington before, and I knew it was there, I had never visited the former home of Confederate general Robert E Lee. This time, I was determined to fill in that blank. The Lee mansion, or as it was known in its day, the Arlington House, sits high atop a hill overlooking the 600 acres that are Arlington Cemetery and its 400,000 residents. Its building began in 1802, following the death of Martha Washington, by her grandson George Washington Parke Custis, who inherited her estates and her slaves. Family tree from George and Martha Washington through Robert E. Lee. In 1831, his only surviving child, Mary Anna Randolph Custis, married Lieutenant Robert E Lee and they moved into the house. I was either a very bad history students in high school, (which I doubt because I had really good grades) or the connection between George Washington, one of the founders of our country, and Robert E Lee was never taught and this was the first time in my life that I made that connection. The Park service conducted a very nice tour of the property which I found to be very informative and quite a bit of fun. The mansion is 8000 square feet which are spread over 4 and a half stories, and we were able to see and every room except for a couple of very small rooms on the very top floor. 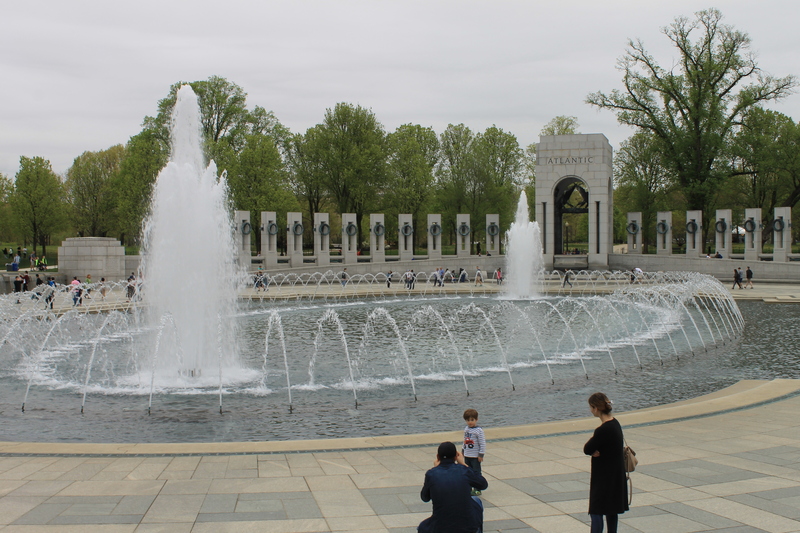 The tour itself, like that of Arlington Cemetery, was free. I highly recommend it to anyone who visits Arlington Cemetery. After our tour of the Lee Mansion, we made our way over to the Tomb of the Unknown Soldier where we arrived just in time for the changing of the guard, a very somber ceremony which is not to be missed. By this time it was getting close to 12 noon and as we had only had a very light breakfast that morning, we needed to find food. 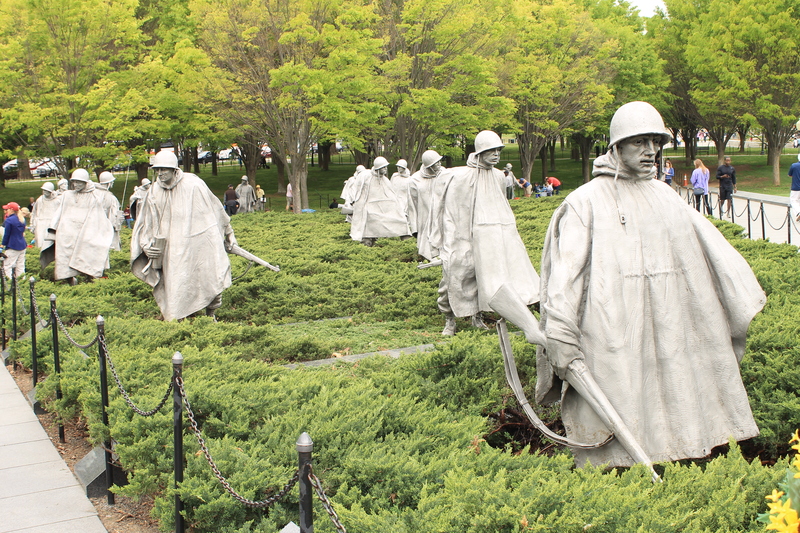 Since the Iwo Jima Memorial is not within Arlington Cemetery, we decided to head off in search of food which took us to a large shopping mall and the food court. The good part about that experience was that we got to drive past the Pentagon. 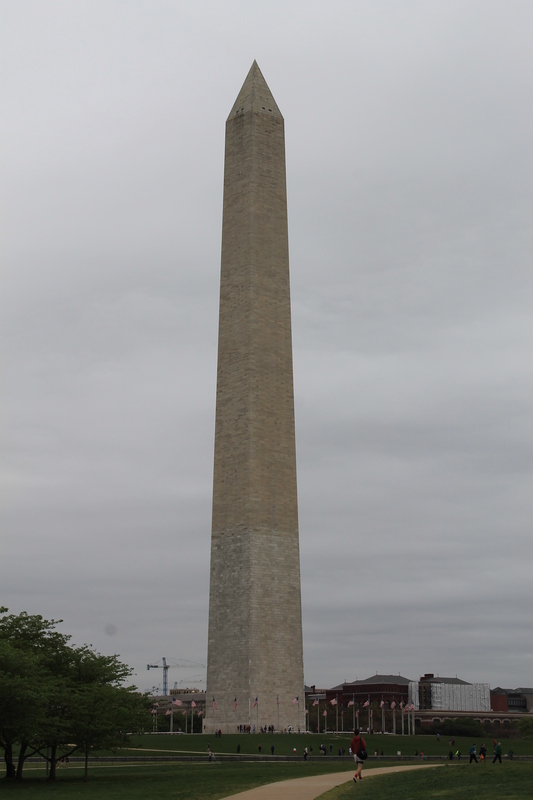 Our drive to the Iwo Jima Memorial (formally known as the Marine Corps Memorial) can only be described as a comedy of errors, but it was worth the effort. Standing solitary in an open park overlooking the capital, it is indeed a grand monument to those brave soldiers of World War II and to all conflicts where the Marine Corps has seen duty. For me, this was a must do. 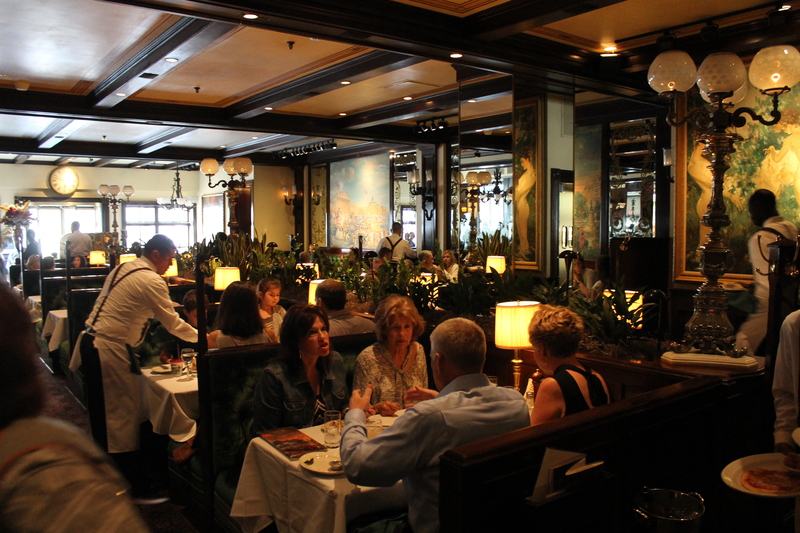 Many, many years ago as a young adult, I visited Old Ebbitt for cocktails and oysters at the bar, but I did not eat there. 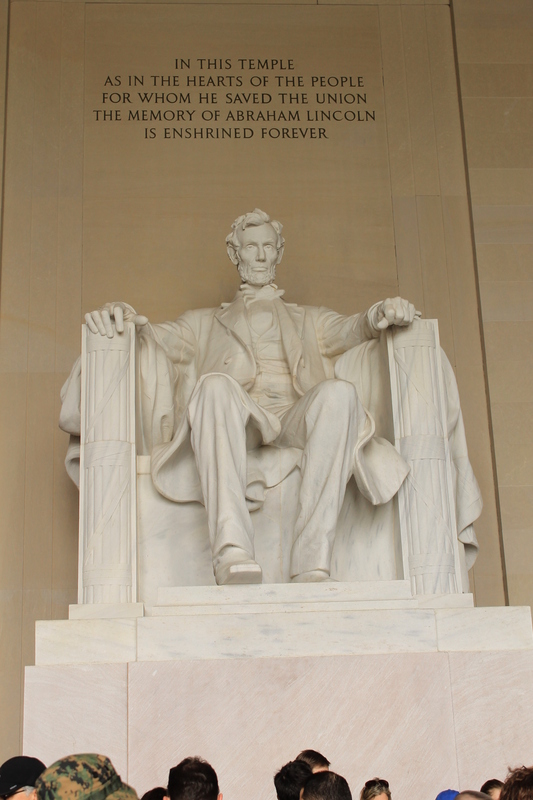 I had come to learn that it had been a favorite dinner destination for President Lincoln. Being sort of a Lincoln enthusiast, I was immediately drawn to the place and when I knew I was returning I just had to have dinner there. And we did at the end of our first day of sightseeing. 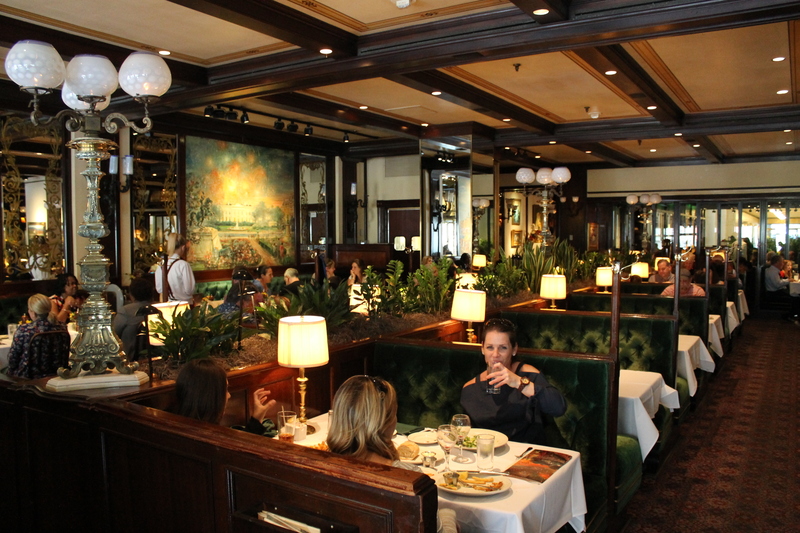 Even though the interior looks as though it could’ve been around in 1864, Old Ebbitt moved to its current location in 1983. 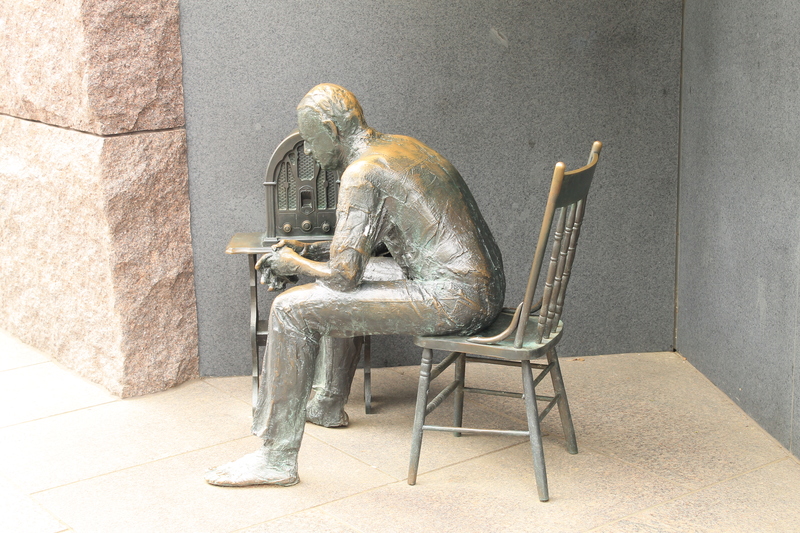 Even though it is impossible for president Lincoln to have sat at your table, he would have definitely felt right at home there. Excellent food, great wines, at reasonable prices, and we were fortunate enough to also be there during the oyster happy hour during which they are half price. Yeah, I’m going back if I get the chance. Day two and we are up and out early again. Yesterday, while we were waiting for our early dinner reservation time to arrive (our reservation was for 4:30), and as Old Ebbitt Grill is just a couple of blocks from the White House, we took the opportunity to walk through Lafayette Park, past the DC Circuit Court of Appeal, past the US Treasury and along the north front of the White House, past the Eisenhower Administrative Offices Building, and essentially making a loop all the way around the White House grounds. North side of the White House from Lafayette Park. 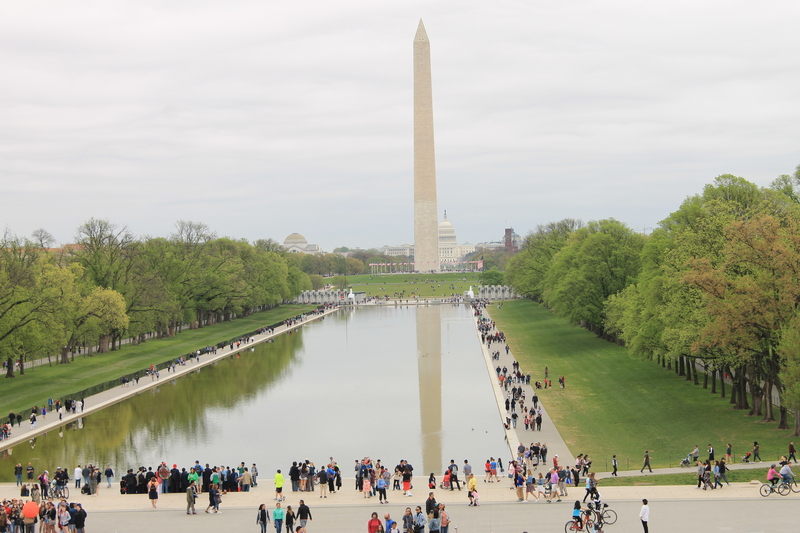 Arial view of the White House looking southeast toward the Washington Monument. The West Wing is on the right. (Note the oval in the roof–the Oval Office) and the Eisenhower Administrative Office Building on the far right. 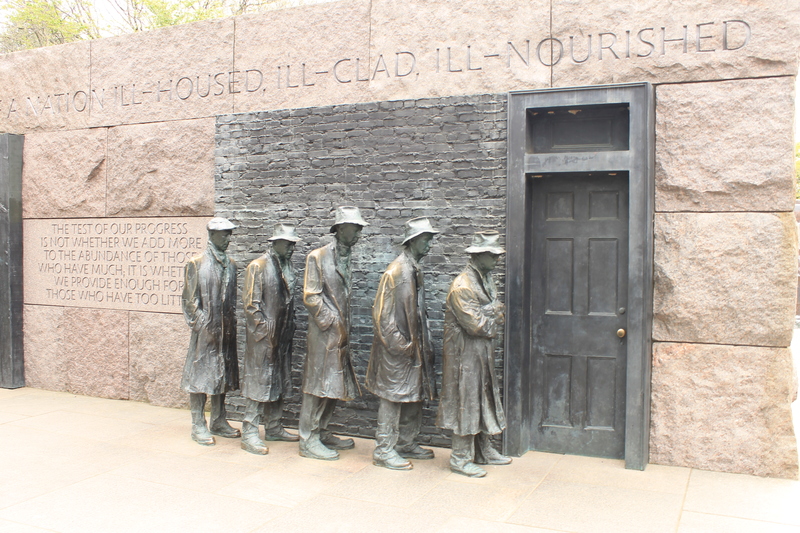 To the far left is the Treasury Department. 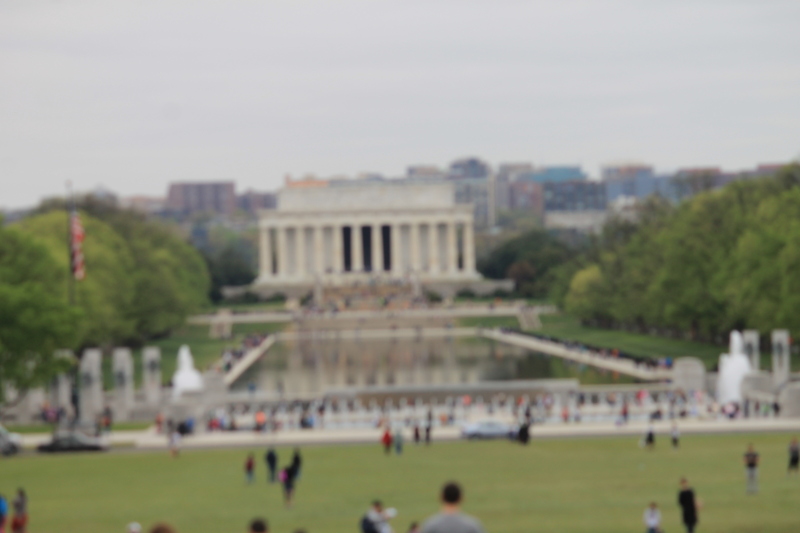 Today, we set out to take on the National Mall. On this morning, we parked the car in a garage near the White House, then set out on foot for the rest of our tour. A very nippy morning evolved into a bright sunshiny day as we made our way past the monuments and memorials: Washington Monument, World War II Memorial at the foot of the reflection pool, along the reflection pool to the Lincoln Memorial then right to the Vietnam War Memorial, then up the stairs to see Mister Lincoln and the spot where Martin Luther King Jr. gave his famous “I have a dream” speech in 1963. Today there is a stone marking the location where he stood. 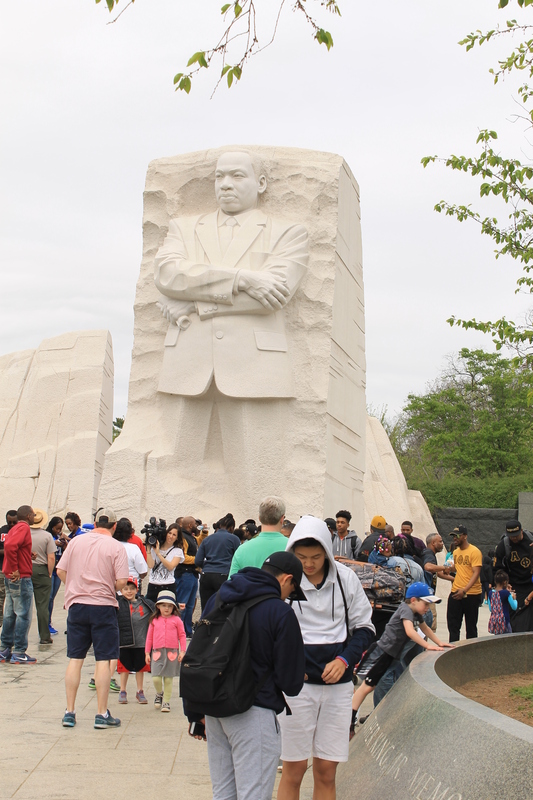 Then, down the steps of the Lincoln Memorial east to the Korean War Memorial, then across the street to the Martin Luther King, Junior Memorial. 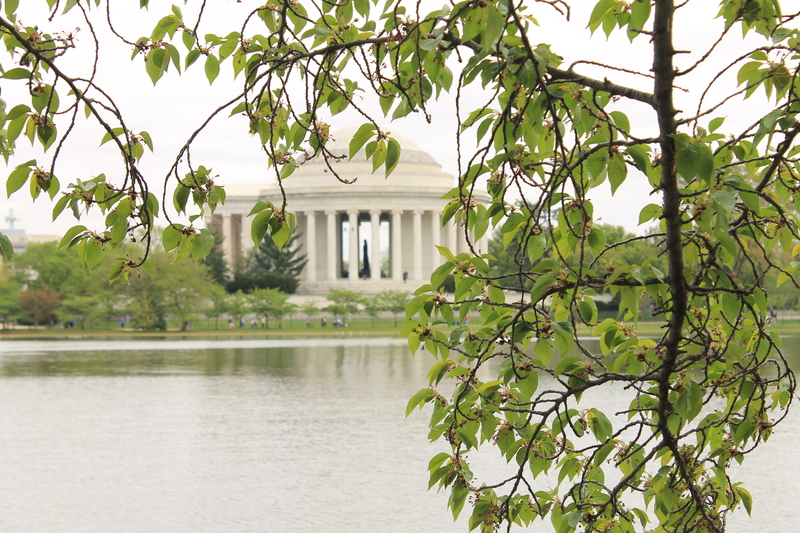 Then down the tidal basin through the exceptionally well done Memorial to President Franklin Delano Roosevelt and on to the Jefferson Memorial, then making a U-turn and heading back toward the White House. 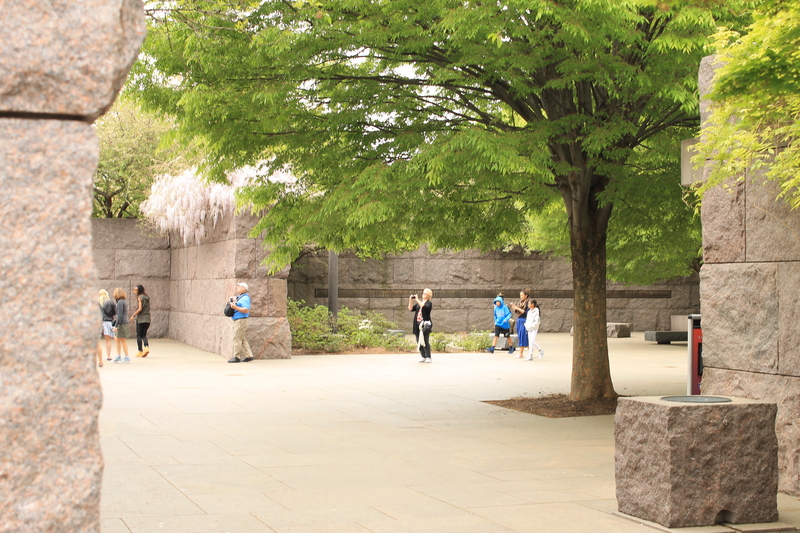 Just past the FDR Memorial, I had had enough walking and we called Lyft for a ride back to an area near the car and several restaurants where we could have a late lunch. 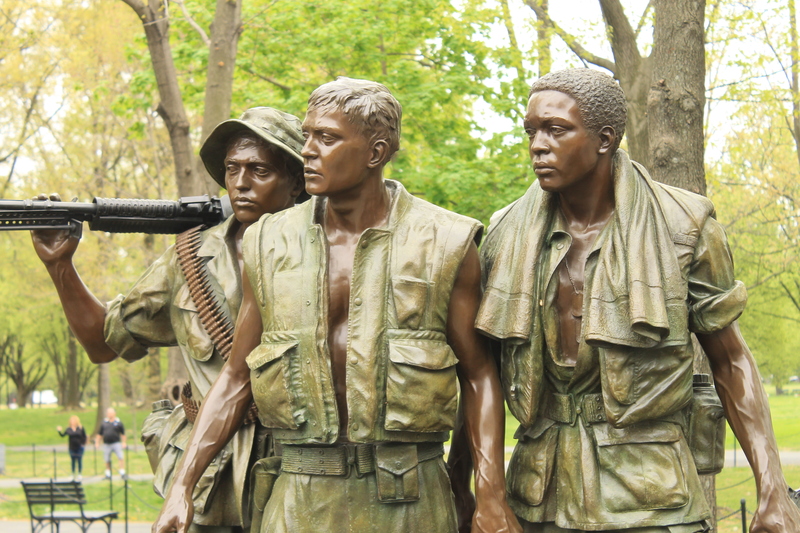 The Vietnam War Memorial, Korean War Memorial, and memorials to Martin Luther King, Jr. and Franklin Delano Roosevelt were all new to me and were not disappointing in the least. 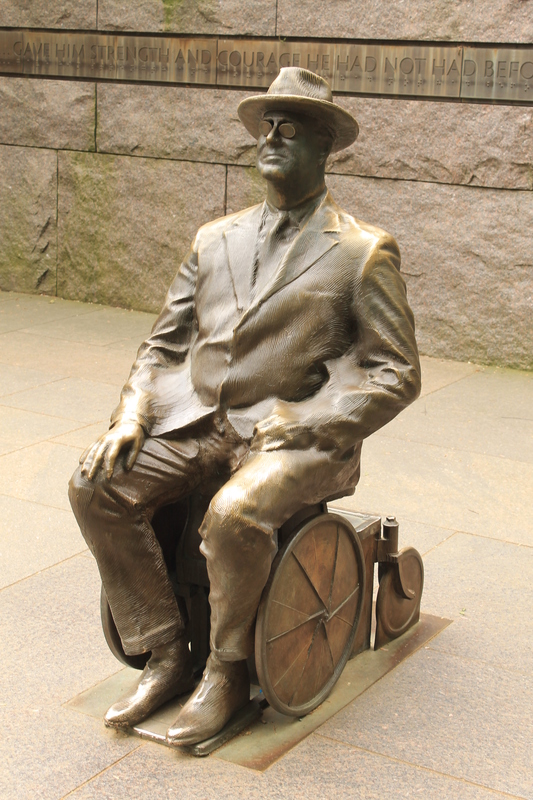 Being born in 1953, FDR’s was a presidency before my time, and the Korean War was winding down during my infancy. But I vividly recall Vietnam and Dr. King. I graduated college in 1974. The military draft was still in effect. That year my draft number was 71. Shortly after that, and I mean days, President Nixon called and end to the Vietnam War. 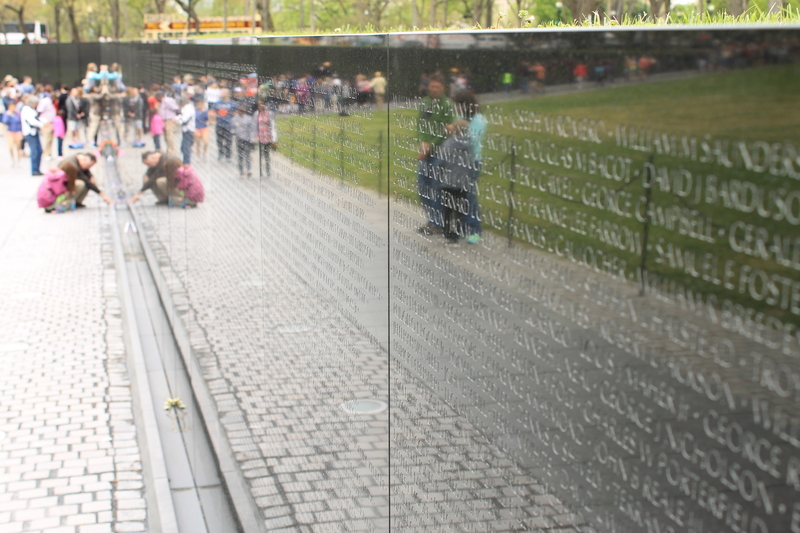 It was a very somber thing to walk along that wall of the 58,220 names of men and women who died. 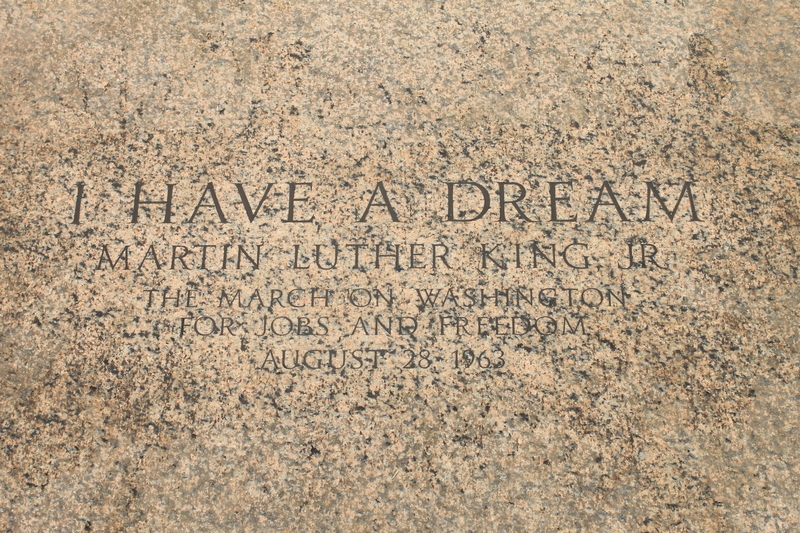 As I stood on the spot at the top of the steps of the Lincoln Memorial from which Dr. King gave his famous address, I had no words. 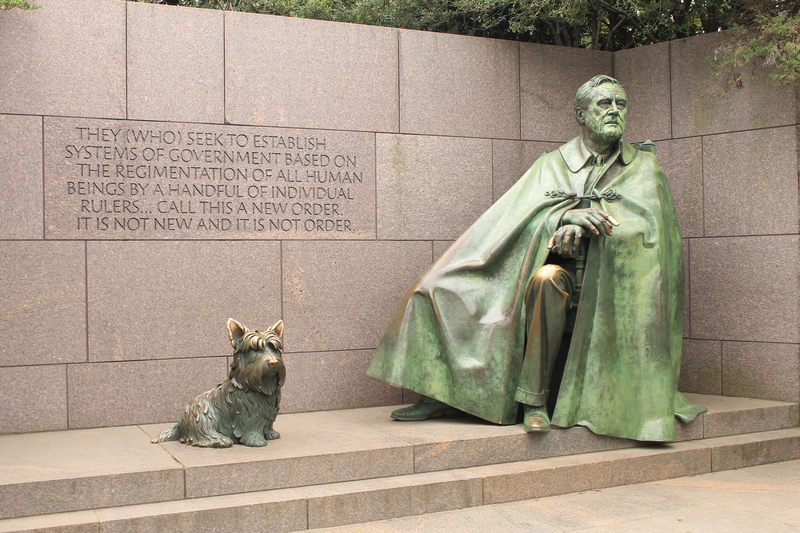 It is very fitting that his memorial was very near that of Lincoln’s. Later that day it was nice to be back at my friend’s apartment to be off my feet for a while before we went to a local friend’s home for a barbecue dinner and a little camaraderie before taking off on our next big adventure on Sunday – – Shockeysville. I am going to post about Shockeysville separately. For now, let’s just say this day was special. Coming back into DC, we drove into a huge traffic jam on 95 so we decided to take our tour of Historic Old Alexandria, VA a day early. Old town is simply amazing. Someone from the 1770s would feel very much at home there! 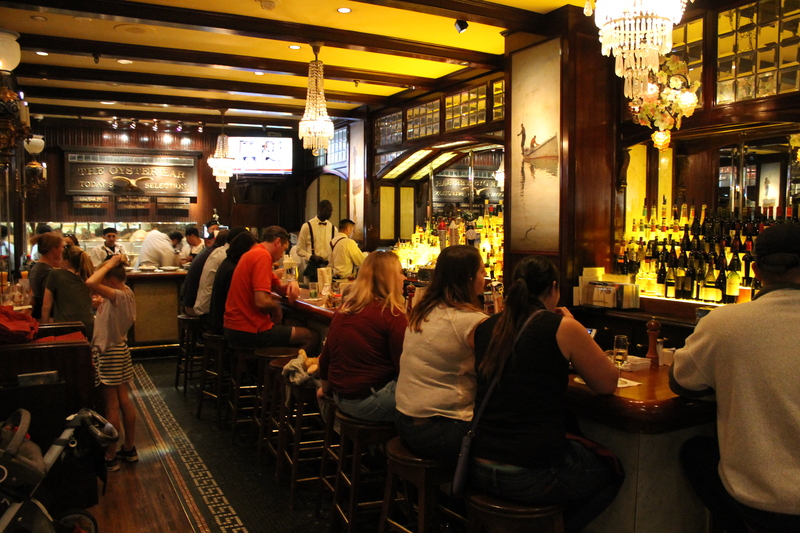 Highlights were Gadsby’s Tavern, where Geo. Washington celebrated birthdays, Captain’s Row with its still-cobbled street, and the Presbyterian Meeting House whose cemetery holds the tomb of the Unknown Revolutionary War Soldier–the only tomb of an unknown soldier not in Arlington Cemetery. Captain’s Row. Note the cobblestone street. Tomb of the Unknown Revolutionary War Soldier. Martha Washington died in 1802. Following her death, the house sat mostly empty for many years. A relative of the family had been trying to sell the property and in 1860, “The Ladies of Mount Vernon Association” purchased 200 acres consisting of the mansion and surrounding land from descendants of the Washington-Custis clan for $200,000. During the Civil War, the “ladies” procured promises from both the North and the South that Mount Vernon would remain neutral territory during the war–and both sides honored that agreement. In the years since, the Ladies have worked hard to preserve and to restore the property. Mount Vernon is still owned by that private foundation. The National Park Service owns the parking lots, but that’s it. The last time I was there was during my family visit during the Bush administration, more that 12 years ago–and MUCH has changed! 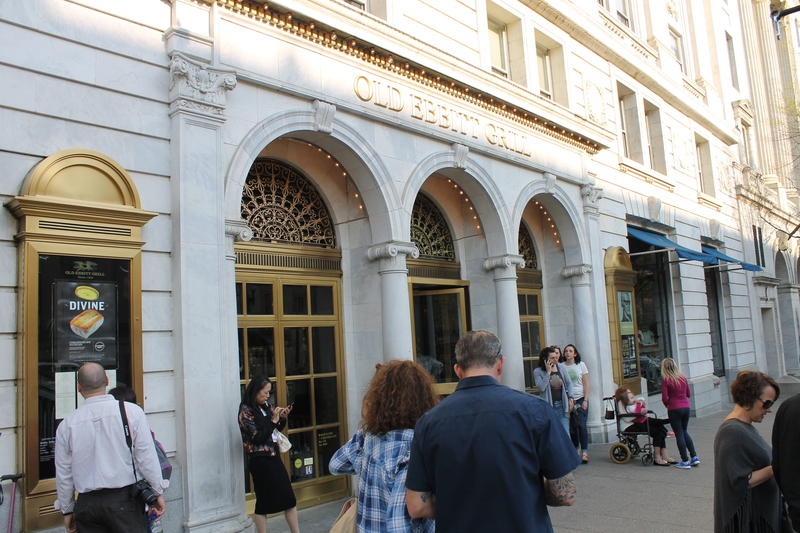 Since I was there last, a visitor’s center containing museums, a theater, a YUGE gift shop that seems to be divided by the front door into high end doodads (like whiskey bottled at the distillery for $90 – $165 for small bottles) and low end doodads (like refrigerator magnets), a food court and a full service restaurant. Much improvement has been made on the grounds. It’s immaculate and probably much like it was when George and Martha were in residence. New tours are available also, but for an additional price: Groves and Gardens, The Enslaved Peoples Tour, Premium Mansion Tour, National Treasures Tour and others. Of course, if you don’t want the additional, specialized tours, the entire property, including the museums and a first floor tour of the mansion are available for the cost of admission ($16) and you can take your time walking the property. Especially nice was the addition of food services. We got there by 9:30 a.m. as our first tour, Enslaved People, was at 10, and the second, Premium Mansion Tour, was at 11:15. By the end of the second, we were ready to eat, and we chose the full service restaurant. Inadvertently, we had one of our best meals of the weekend there. I had shrimp and grits, which turned out to be one of their signature dishes. Even though I am not a huge fan of grits, it was delicious–and the grits were ground at Washington’s rebuilt gristmill. He clearly was a wealthy man. Between land owned by Martha and George’s purchases, he owned 5 farms consisting of roughly 8,000 acres, 4,000 of which were in cultivation. At any one time there were about 300 slaves on the properties. My favorite tour was the Premium Mansion Tour. In all my previous visits, the upstairs was not open to the public–but now it is and it costs another $16 to go there, but it’s worth it. Imagine ascending the grand staircase with your hand on the same handrail used by Thomas Jefferson, John Adams, and Benjamin Franklin. Pretty cool. We even got to walk through the basement. Sorta cool but unimpressive and could have been left off. The worst part was that the tour didn’t last long enough, and the tour guide did not seem to have many not-in-the-books tidbits to share. The other low point was the “Enslaved Peoples Tour.” It really should be named the “George Washington Wasn’t That Bad to his Slaves Tour.” I fully expected the young black woman who lead the tour to say “all lives matter” at some point. Would I go back? Definitely. Next time, I’ll walk through the museum. Formal flower and vegetable gardens. The foundation does not allow photos of the interior of the mansion–because they want to sell you a book of photographs. I did find a link to interior photographs of the mansion. 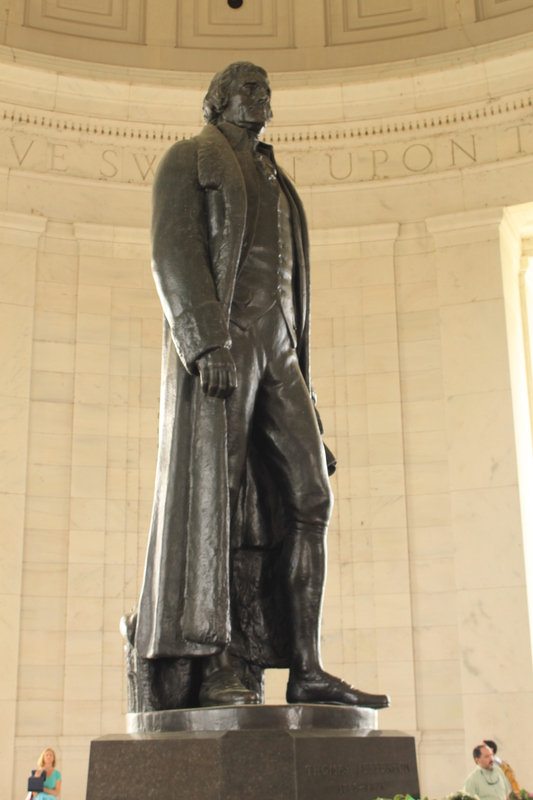 The foundation is also very keen to merchandise everything they can about the property and George Washington, and to do everything possible to present his as a potential candidate for sainthood. Or so it would appear. Previous Post:I thought it was gonna be easier. . .